Special thanks to Mrs. Burke (6A math), who contacted Mr. Neely's former students. 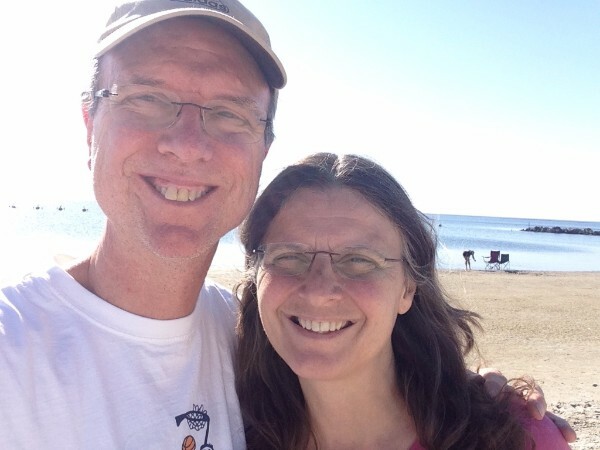 In this Spotlight Interview, we are celebrating a wonderful teacher, Mr. Jim Neely. Mr. Neely, probably in his final year teaching at DMS, came into teaching as a second career after seventeen years of working with Steamfitters Local 449. He explained that he had always wanted to go into teaching but "life happens" and he initially chose another career path. His elementary school teacher, Mrs. Marylou Stefanko, encouraged him to follow his dream of becoming an educator, so at the age of 32 he went back to school to pursue what he felt was his true calling. Mr. Neely started his career at North Allegheny for two years, then came to Fox Chapel to teach sixth grade math. Eventually he moved to science two subjects he feels go hand in hand. He enjoys teaching sixth grade science because it is the first time that the students have science five days a week. He feels that this opens up a whole new world to the students because they use the "Inquiry Method" which allows them to internalize the concepts on a much deeper level. Over the course of the year, they focus on life science, physical science and earth science. During the life science unit this year, the science teachers were able to get eggs so that the students could observe and study the life cycle of chickens. The children loved this process; it helped to illustrate the concepts very clearly and they had fun at the same time. They even named the chicks! These types of experiences are what Mr. Neely hopes will stick with his students and inspire a life-long interest in science. In addition to teaching science, Mr. Neely is also the girls basketball and track coach. Coaching is one of Mr. Neely's true passions. He enjoys coaching the students and seeing them succeed not only academically, but athletically as well. He likes that there aren't try outs for track so that anyone who wants to pursue a sport has the opportunity to do so. He thinks it is a fantastic way to build character, work together on a team, and adopt healthy lifestyles that can be carried beyond DMS into adulthood. He has been lucky enough to see some of his former players in high school and college. Mr. Neely hopes to continue coaching even after he retires as an educator because he enjoys it so much. Eleven years ago, I was a newly hired Fox Chapel teacher on my way to the first department meeting of the school year. Upon arriving, I was greeted by my new science colleagues, and one man in particular stood out. His soft-spoken voice and kind smile were things I had heard and seen before… I realized that this man was the Mr. Neely who was my fourth grade student teacher in Social Studies at McKnight Elementary in NA sixteen years prior! Out of all of my fourth grade teachers, I remembered Mr. Neely the most, even though he only taught us for a short time--he was the “cool, young” teacher in the 4th grade! Most importantly, I still remember what he taught me--twenty-plus years later, I can still name the capitals and provinces of Australia and sing songs like” Kookaberra” that went with them. He was and is a wonderful teacher and person, so I consider myself lucky to have been able to work with him for over a decade as an adult. I will truly miss him when he retires! Mr. Neely was my basketball coach, and I was part of the first team he coached. Through the years he has truly had a real impact on my life. He cares about each student and player that he encounters. I look up to him, and can only hope to be as good of a person as he is. Thank you for all you've shown and taught me as a player, a fellow coach, and most importantly as a person. I can still remember having Mr. Neely for math when I was in sixth grade at Dorseyville. We were the first sixth grade class to attend Dorseyville when it became a middle school, and I can remember being happy to be on his team because he was one of the first male classroom teachers I ever had, and that helped make that transition to a new building much easier. I was also lucky enough to student-teach at DMS when I was finishing my education degree and had the pleasure of working on the same team as Mr. Neely. He is definitely someone that has contributed so much to the students at DMS and will surely be missed! I had Mr. Neely as a second grade teacher at North Allegheny after he completed his student teaching with Mrs. Tatum. I will always remember sharing our classroom with the art teacher and the group of Michael's we had in that class. Fast forward 17 years and once again I found myself sitting alongside Mr. Neely but this time as a colleague on team 6C. Although it took me a while to call him Jim, I will always be grateful to the help he provided me as a young teacher here at Dorseyville. Thanks, Mr. Neely! In SCREENAGERS, as with her award-winning documentaries on mental health, Delaney Ruston takes a deeply personal approach as she probes into the vulnerable corners of family life, including her own, to explore struggles over social media, video games, academics and internet addiction. 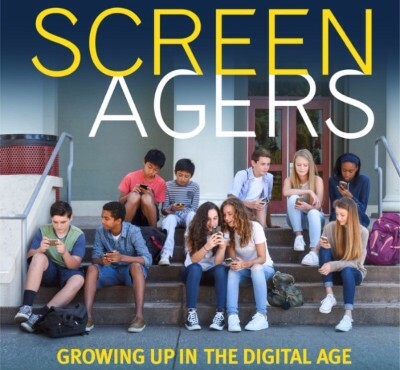 Through poignant and unexpectedly funny stories, along with surprising insights from authors, psychologists, and brain scientists, SCREENAGERS reveals how tech time impacts kids’ development and offers solutions on how adults can empower kids to best navigate the digital world and find balance. A link to the trailer. The one hour film will be shown on Thursday, February 23rd at Shady Side Academy. It is free and will begin at 7:00 PM. Parents from the Dorseyville community are officially welcome to attend. Please click on the school name to follow links to more information about the screening. If there is enough interest, DMS can have its own screening at a later date. Please respond to this newsletter if you would like us to host a screening as well. Please consider volunteering an afternoon to showcase your career at the 8th grade career fair from 1:00-3:00 on March 17th. According to Mr. Reinhard, he is lacking presenters in the areas of the arts, business, government and public administration, hospitality and tourism, human services, and transportation, distribution and logistics. If you or any members of your family are interested in presenting at the Career Day this year please fill out the google form. Please contact Mr. Reinhard at Craig_Reinhard@fcasd.edu with any questions. Please respond to this email if you have any ideas about what you would like to see presented at the DMS Parents' Night on Tuesday, March 28th. We will pass along your suggestions to Mr. Nauhaus. The yearbook committee is in need of images from the DMS dance and sporting events. If parents have images to share they can upload them to the Herff Jones Eshare site and enter the school code, DMS. They cannot guarantee all would be used but they would greatly appreciate receiving a variety of images. The regular district forum meeting will take place on Tuesday, February 14 at 9:00 AM at the high school's LGI room. They will be discussing the use of technology in the district. The next PTO meeting will occur on Wednesday, February 15 at 7:00 PM at Panera in the Waterworks. Book Club to Take Place on March 2, Read Across America Day. The DMS PTO Parents' Book Club will be discussing the books Queen Bees and Wannabes and Masterminds and Wingmen by Rosalind Wiseman. Please read (one or both) to prepare for an exciting and insightful discussion that will take place at 6:30 PM on March 2 at the Panera Bread at the Waterworks. 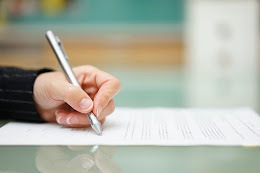 This meeting will take place at the high school and will allow parents to learn about what they and their students can expect in ninth grade. Spring Social on Friday, March 24. Tell your students to get their dance moves ready for a fun social event for all DMS students. Tickets will be $5 and will be sold in advance. Anybody who is interested in helping with the festivities (either in planning or the day of), please reply to this newsletter or write to president@dorseyvillepto.org. 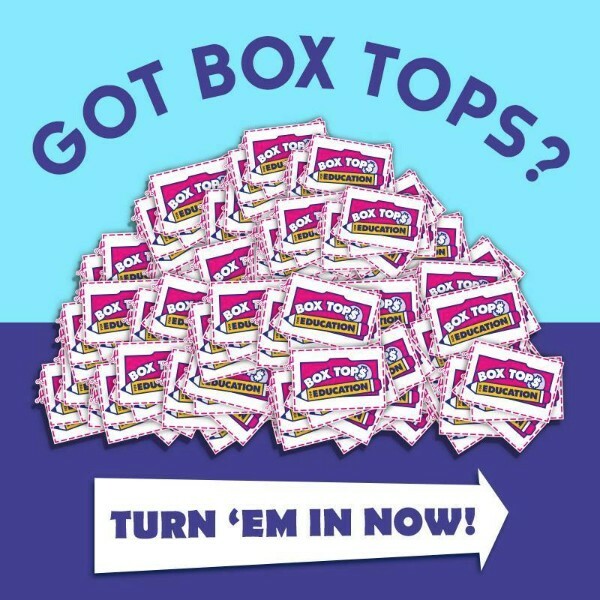 Non-expired Box Tops are due on Thursday, February 16th. They can be put in the bin in the front lobby. Please put them in baggies so they don't get lost. If you don't have the baggy that was sent home, just put them in a new baggy with your student's name and homeroom on it. Hope to see you at the next DMS PTO meeting on Wednesday, February 15 at 7:00 at Panera Bread in the Waterworks. It's Friday! So, there is a newsletter.